There are several reasons why you might consider hosting your wedding reception at home. This is a traditional choice harking back to years gone by, so would be ideal for any wedding of this style. For any family with a beautiful home, it simply makes sense to open it up to your close friends and family for your reception. Perhaps your home is geographically the easiest option for a wedding venue? Or maybe staying close to family in the home is ideal to make sure everyone can attend? The budget can also sometimes play a part, but even if budget isn’t an issue, a home wedding can be the perfect place for you to celebrate your marriage. 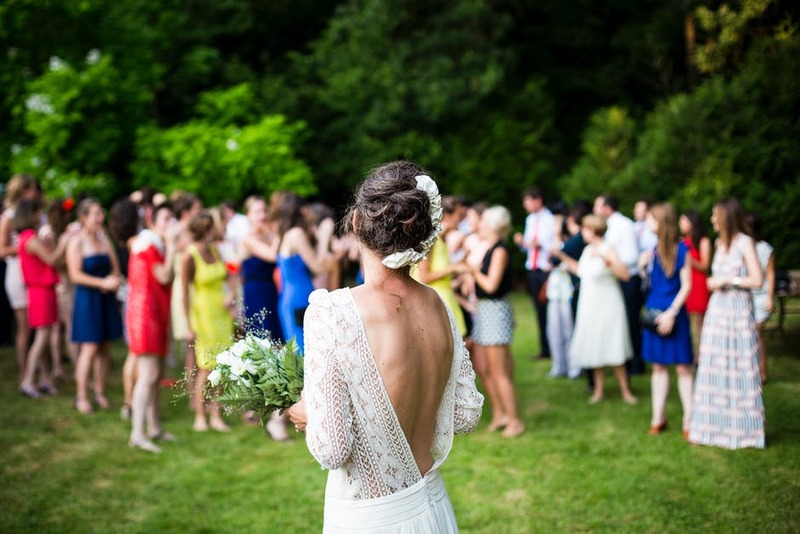 In fact, hosting your own wedding can be much easier than you think. You already have a number of bathrooms, a fully equipped kitchen, and plenty of seating. And if you use your garden, you probably have the space to cater for all the friends and family you have! A marquee or Big Chief Tipis can be ideal for a home wedding. They provide the cover you need whatever the weather. You can usually extend them all the way back to the house, so you don’t need to worry about getting wet on the way to the bathroom! Of course, if the weather is fabulous, simply open up the sides and roll it back to enjoy all the beauty of your garden. Best of all, the kids can play and have fun without it being a problem. Ideal if you have a large number of smaller guests! It’s really easy to decorate the garden and the tent for your wedding. You can hire a company that specialises in this sort of thing. You might prefer to hire the decorations and set everything up yourself. Or you can tend to the garden and add beautiful displays or arrangements of bouquets from your florist. You can even create artificial rose trees, bouquets and garlands that will look gorgeous in all weathers. Catering is easy at home because you have your fridge and oven to hand. You might even get the barbecue fired up in the summer. This means all the food is deliciously fresh. Alternatively, use a caterer. They can bring the food prepared, or manage the cooking from your kitchen. When you’re searching for a caterer, check what level of service they can provide. You might like the idea of having waiting staff or bartenders. How will you structure your reception? You have the freedom to choose the order of events regardless of your venue choice. Perhaps you’re not interested in a formal structure at all? Of course, a first dance is much easier if you have a dance floor. It might be worth ordering one for your big day. Music at home can be tricky. In the UK, a license is sometimes required if non-family members are gathering for an event. Check with your local authority what might be required for the type of reception you’re hoping to host. A reception at home can be so much more personal and intimate. It gives you the opportunity to design your big day the way you want it. Have a beautiful wedding day at home.